Taberna V 1,30 is identified as belonging to a person called Canices by Della Corte (Della Corte 1965, 103) and hence it is usually called "Bottega di Canices". It is located close to the southwest corner of insula V 1 and consists of two rooms (1 and 2) that cover an area of approximately 28 square meters. Parts of the taberna were rebuilt during the Imperial period and like taberna V 1,29, V 1,31, (thermopolium) V 1,1.32 and V 1,2, it is supposedly one of the buildings that were excavated by the Bourbons in 1748. The function of the taberna is not known, but most likely, it was a combined shop and workshop. Room 1 is the larger of the two rooms of the taberna (just over 15 square meters). 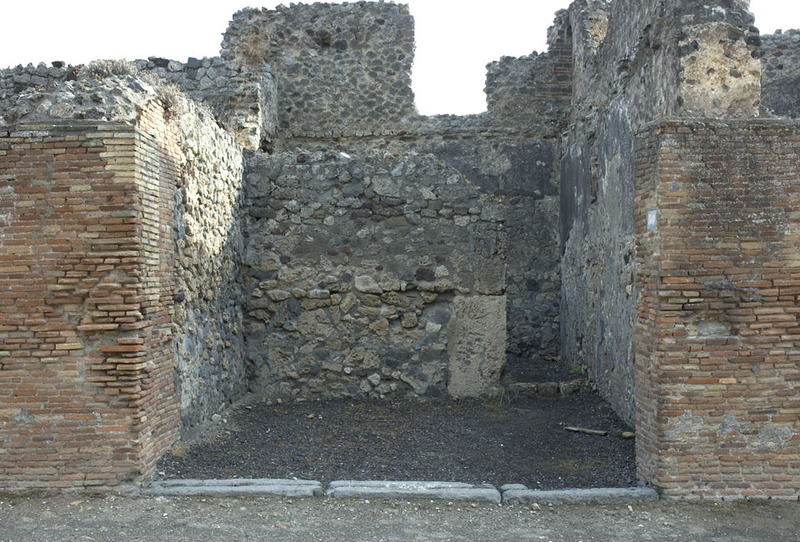 It is square shaped and entered through a circa 3,40 m wide doorway from Via de Vesuvio that is marked by a lava stone threshold. In the back of the room there is a door leading into room 2. There is only one visible feature in the room: A niche, located in the north wall, close to the northwest corner. At the same time, there are a couple of hidden features: For instance, there is a cistern below the floor. The opening is located by and in the middle of the south wall. There is also closed door in the south wall, leading into room 1 of taberna V 1,31. No parts of the floor and hardly any wall plaster remains in the room. Room 2 is rectangular in shape, approximately 13 square metres, and entered through a door located in the southeast corner of room 1. The most striking feature of room 2 is the latrine in the southeast corner. There is an upper floor of the taberna, but there are no signs of a staircase, and since there is a door in the second floor west wall of room 2, leading into Casa V 1,3, the most plausible conclusion is that the upper floor of the taberna didn’t belong to the taberna. However, the question weather or not the upper floor belonged to Casa V 1,3, is not solved at present. Room 1 and 2 was examined in September and October 2010.